Luxembourg has been ranked second globally with a score of 4.22 by the World Bank's logistics performance index for 2016, published as part of the fifth edition of its biannual Connecting to Compete study. The index, headed by Germany with a score of 4.23, measures countries' commercial logistics capabilities on a scale of one to five. Learn more about Luxembourg's second rank in the logistics performance index. Supply chain risk is a major concern for business, particularly those working across borders. Businesses come to Luxembourg for its expertise in managing these risks and turning them to commercial advantage. This skill is reflected in the 2018 Resilience Index published by the consultants FM Global, with Luxembourg ranked again 2nd in the world. A total of 130 countries were analysed, looking at the state of their economies (productivity, political risk, oil dependency), overall risk levels (the prevalence of natural hazards and management systems), and the supply chain robustness (corruption, infrastructure, supplier quality). Taking all these metrics as a whole, Luxembourg scored 96.1 out of a maximum 100 (improvement since last year). Luxembourg has risen gradually from eighth in 2013 to second in 2017 and 2018, owing partly to its reduced reliance on oil for economic productivity. This reflects the continued growth in the importance of its services sector. Luxembourg enjoys a strong reputation for its financial sector, its network of service providers and its responsive, business-friendly regulations. The country is well-placed to benefit from financial institutions that may be seeking a new home, post-Brexit, following the United Kingdom’s departure from the European Union. Find out more on Luxembourg's ranking in the resilience index. Luxembourg has been placed 11th in the 2018 edition of the World Competitiveness Yearbook ranking compiled by Lausanne-based business school International Institute for Management Development. Luxembourg scored highly in areas including international investment (2nd in the world), productivity & efficiency and finance (3rd), or international trade (4th). Luxembourg has been ranked 15th out of 126 countries worldwide in the latest Global Innovation Index compiled by Cornell University and the World Intellectual Property Organisation. Luxembourg is placed fourth globally in the Innovation Output sub-index and second for creative outputs. Luxembourg is ranked first for tertiary inbound mobility, ICT access, knowledge intensive employment, FDI net outflows, cultural and creative service exports, national feature films, as well as second for the Innovation Efficiency Ratio rankings. Find out more about Luxembourg's ranking in the Global Innovation Index [pdf]. Luxembourg ranks 5th out of the 28 EU Member States. Overall it has maintained its rank and improved its score slightly since last year. Luxembourg performs well in connectivity, both for coverage and subscription. It records very good results for human capital, especially in use or in digital skills where it is a top performer. It achieves very good results for internet use by its residents. On the other hand, it lags behind in the integration of digital technologies by companies, for e-business and even more for e-commerce. It also lags behind in digital public services. International organisation InterNations has ranked Luxembourg 14th out of more than 65 countries around the world in Expat Insider, an annual survey based on the views of expatriates. Luxembourg scores highly for quality of life, peacefulness, a strong economy and security of employment, and is top for political stability. Find out more about Luxembourg's ranking in InterNations [pdf]. The University of Luxembourg is ranked 14th among the best young universities in the world, according to the latest Time Higher Education (THE) 150 Under 50 Rankings 2016. The 150 Under 50 Rankings are a global list of the best universities that have been established within the last 50 years. Institutions are evaluated on 13 performance indicators grouped into five categories: teaching, research, citations, international outlook and industry income. The University of Luxembourg achieved particularly high average scores in terms of international outlook and citations. The international outlook indicator takes into account the percentage of international students and international staff as well as international collaboration in terms of research. The University currently counts 115 different nationalities among its students and 83 different nationalities among its staff members. The international orientation of the university also contributes to its high performance in other indicators, facilitating the recruitment of professors, researchers and students from all over the world and thus also increasing the quality of research and teaching. The University’s strong performance in terms of citations shows that the young institution already has a strong research capability. This indicator captures the number of instances a university’s published work is cited by scholars globally, compared to the number of citations a publication of similar type and subject is expected to have, using data drawn from 23,000 academic journals. Once again, Luxembourg has been ranked in the first division of global financial centres in terms of competitiveness. In the “Global Financial Centres Index ” by the consultancy Z/Yen and the Long Finance initiative, the country was placed 21st, but 2nd in the Eurozone (after Frankfurt), 4th in Europe (behind London, Zurich and Frankfurt). These results are based on a survey of financial professionals, plus industry and economic data about 96 international financial centres. Human capital, the business environment, financial sector development, infrastructure plus reputational and general factors were all taken into account in this report. Read more about the Global Financial Centres Index [pdf]. Luxembourg ranks 4th in the Global enabling trade report of the year 2016. Luxembourg has further improved the quality of transport services it can offer to its businesses, moving up nine notches and gaining the top position globally. In fact, the country now ranks in the top 10 across all the available indicators in this area and 1st for ease and affordability of shipments and their timeliness in reaching destinations. The quality of its operating environment has also further improved, making Luxembourg the 3rd best country in the world for companies to operate in and the most open to foreign participation. Singapore, Hong Kong SAR and Luxembourg head the 2017 rankings for the 4th successive edition of the report, far outstripping major economies such as the United States in terms of trade openness. It has to be noted that Luxembourg achieved the highest level of openness in relation to trade to GDP ratio, for merchandise and services imports per capita and in the Logistics Performance Index among others. Source : International Chamber of Commerce. Luxembourg is of particular interest, insofar as there are three official languages, with most pupils receiving instruction in Luxembourgish, German and French in primary education. English is only introduced at secondary school, what makes Luxembourg standing out as the EU Member State with the highest proportion (100%) of upper secondary general education students learning two or more languages. Almost three quarters (72%) of the adult working-age population in Luxembourg know three or more foreign languages. Less than 3 % report that they did not know any foreign language. The very high proportion of working-age adults in Luxembourg who reported speaking at least three foreign languages may, at least in part, reflect the local administrative and education systems. Indeed there are three official languages in the country and most pupils receive instruction in Luxembourgish, German and French at a primary level of education, with English and other languages being introduced at secondary level. With a score of 66.33 (very good proficiency), Luxembourg ranks 7th in the EF ranking on the English proficiency index in non-mother tongue countries. For the third straight year, Luxembourg has held on to its position atop UNCTAD's ranking of 143 countries' capacity to support online shopping and other business-to-consumer e-commerce. 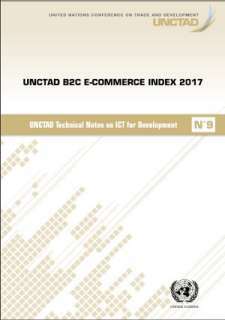 Among the top 10 economies in the 2017 UNCTAD B2C E-commerce Index, seven are European while three are from the Asia-Pacific region.